Rarely does a new musical emerge from a book that is as heartfelt as Fun Home's and yet fails on stage to either inspire or deliver. The show is based around the true and troubled memoirs of graphic artist Alison Bechdel whose childhood and adolescence was blighted by her undertaker father's homosexual infidelities. 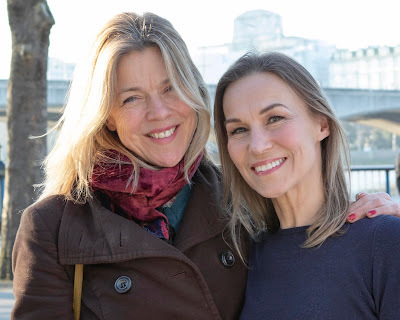 For much of her youth his sexuality was a secret from her, which she only to learn of during her college years, coinciding with her own realisation that she was a lesbian. Spoiler alert: That shortly after that realisation her father commits suicide - a death heavily signalled from the show's opening bars - only adds to the toxic soup of Bechdel’s familial dysfunctionality. Three actresses play Alison: as cute precocious kid; gauche teenager; and as her adult self looking back. The show's narrative, aided and abetted by some expensive and gimmicky stage hydraulics, shifts the tale back and forth across the years. Swap complex aspects of sexuality with the frustrations of the American Dream and Fun Home could almost have been re-titled Death Of A Salesman (ok, Death Of An Undertaker), The Musical. But where Arthur Miller's play was a work of finely crafted genius and Bechdel's tale is surely worthy of respectful consideration, as a musical the show is lame. The tunes are forgettable and the lyrics, witless. 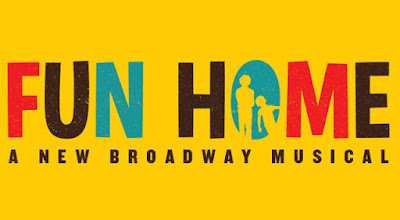 Musical theatre is no stranger to difficult subjects, yet where Stephen Sondheim, Jason Robert Brown and Kander and Ebb have honed their lyrics to pinpoint poignancy - offering us both food for thought and wonder at their songsmiths' craft, Fun Home's words are flat and repetitive, offering little musical meat. There's an entertaining Jackson 5 inspired routine from young Alison and her two junior siblings - but otherwise the songs are a laboured ballad-fest. The actors are all fine and should be proud of their work. Young Alison is an assured performance from a confidently young and accomplished Gabriella Pizzolo, whilst playing the artist in the show's middle years, Lauren Patten is outstanding as a young woman leaving adolescence and battling immense issues. Wrapping up the trio, Beth Malone as Alison senior is creditable, even if she is overshadowed by her junior counterparts. Likewise Michael Cerveris as Alison's morally bankrupt father Bruce (who cruised for underage men given the opportunity) puts in a worthy performance, whilst Rebecca Luker’s Helen, Alison’s mother offers an interpretation that's perfectly weighted. We see the measured sorrow in her eyes from the opening scenes - it's just a shame that the quality of the material doesn't match her talent. And yet, maybe like the fabled Emperor’s new clothes, for some reason Broadway lauded Fun Home with nigh on a clean sweep in the 2015 awards. As a musical (and pardon the cockney vernacular) it’s more pony than Tony.